Community events within the CitiesIPCC Cities and Climate Change Conference inspired residents and visitors to engage in dialogue and take action. The City of Edmonton’s Change for Climate campaign inspired a series of unique events leading up to the 2018 Cities and Climate Change Science Conference. From insightful lectures and film screenings to art exhibits and science fairs, these events inspired residents and visitors to engage in dialogue and take action beyond the conference. The stage offered three days of sessions on climate change and its potential impact on our cities. The talks featured local, regional and international climate change experts, government representatives and organizations working to address climate change. The EPCOR Stage took place from Monday March 5 to Wednesday March 7, 2018. Organized in partnership with the University of Alberta’s Office of Sustainability, and MacEwan University’s Office of Sustainability, this package of events focused on the power of art (paintings, film, video and photography) to communicate the stories of climate change. Events included two evening lectures, a student-led festival of climate ideas and images, and an art exhibition featuring the works of dozens of post-secondary art students from the University of Alberta and MacEwan University. Art, in all its forms, is a powerful communication medium for engaging people emotionally and intellectually. Recognizing this power, this series of community events explores the potential of visual art; painting, sculpture, and mixed media, to inspire climate change awareness and action. This exhibition features a commissioned work by Indigenous artist Brittney Bear Hat. Her exhibition, titled Lineage, continues her research into land and ownership through cultural perspectives. Lineage presents a conversation between the landscape and the work that goes into it for its resources like oil and gas. The SNAP Print Shop feature window can be viewed from the street 24 hours a day. This exhibition features a commissioned work by emerging artist Lauren Crazybull, an emerging Blackfoot, Dene artist living in Edmonton. I Think I've Ruined This Already is a visual art installation combining portraiture and documentary photography in order to highlight the work of Indigenous artists. Living with the Damage presents work in a range of media, from drawing to installation and performance. Students from the MacEwan Fine Art program created artwork in response to issues of climate change, consumption, ecology and sustainability, often using recycled materials and sustainable approaches. Over 20 University of Alberta BFA (Bachelor of Fine Arts) students deal with subjects of climate change, sustainability, environment through their chosen form of artistic expression. This panel on Art and Environmentalism is a joint initiative of the Art Gallery of Alberta with the University of Alberta’s Change for Climate: Art for Change project. Joan Greer will introduce and moderate the discussion which will feature presentations by the artists and scholars Brittney Bear Hat, Debra Davidson, Natalie Loveless, Peter von Tiesenhausen and Sheena Wilson, followed by discussion. The panel is held in conjunction with Peter von Tiesenhausen’s Art Gallery of Alberta exhibition in which the landscape of Alberta features as a primary source of inspiration, with sustainability as a longstanding and integral concern in this work. Von Tiesenhausen, along with the other panelists, will explore the power of art to influence social change in society, with a focus on its power to influence climate action. In recognition of the Cities and Climate Change Science Conference goals, the art in this exhibition, curated by Joan Greer, visually investigates issues of environment and sustainability from a broad range of creative positions. A selection of work is presented by four artists with strong ties to Edmonton: Sean Caulfield, Miriam Rudolph, Madeline Mackay and Morgan Wedderspoon. In celebration of International Women’s Day and to close the inaugural IPCC Cities and Climate Change Science Conference, the City of Edmonton, with support from Metro Cinema, presents Catching the Sun. The film showcases solar energy as a powerful force for democratization and tells the story of the rapid innovation that is putting power into the hands of the powerless. After the film, stay for a panel discussion with local women who have a stake in the clean energy revolution. Registration will guarantee a seat up to 15 minutes before show time. Please arrive early to secure a seat. 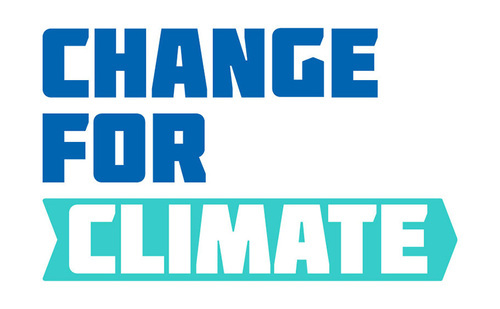 Junior and senior high school students from Edmonton, Alberta, and around the world will discuss their ideas for addressing climate change concerns while also sharing their hopes and life experiences. Come and hear what our upcoming generation of scientists, politicians and activists have to say. The festival includes a Fair of Student Ideas and Recommendations featuring more than 20 exhibits from schools across Alberta – each sharing their best ideas and evidence for climate action in Alberta. Throughout the day, the fair will pause for three main stage presentations. NAIT video production instructor Colin Waugh will interview and showcase the works of young Alberta video/filmmakers who use this medium to encourage climate action. High school students from around the world, in town for the Cities and Climate Change Science Conference, will deliver a Pecha Kucha-style presentation, each telling a climate change story from their city. During the day, the festival audience and special guests will be invited to score the student recommendations presented. Those student ideas with the most support will be invited on stage to share their ideas again and participate in a panel discussion with community leaders and experts. George Kourounis, named by Canadian Geographic Magazine one of Canada’s greatest explorers, comes to Edmonton to discuss his first-hand observations of the troubling impact climate change has caused to our world. Kourounis, host of Angry Planet, has travelled to some of the most remote and inhospitable places on earth to document the extremes of nature and climate. He frequently finds himself up close to the world’s most fearsome forces; vicious tornadoes, the eyes of hurricanes and inside erupting volcanoes. George is a fantastic speaker and storyteller. to build a clean energy future—the biggest economic opportunity of our time. In her films, she tells the story of the rapid innovation that is disrupting outmoded industries and putting power back into the hands of those who need it most. Not only is Shalini Kantayya witnessing change—her film work is helping communities take action. Her sci-fi film A Drop of Life is set in a near dystopian future, but it has already been used as a tool to organize water rights in 40 villages across Africa. And her feature documentary Catching the Sun uses the stories of entrepreneurs in the U.S. and China to show how solar energy can be a powerful force for democratization. Come meet a ground-breaking new voice in documentary film, and learn about the clean energy revolution that is happening all around us, right now. In this entertaining and interactive presentation, Shalini Kantayya uses film clips to tell stories that move the heart, reach new audiences, and make real change in the world. Shalini Kantayya and three local guests share their thoughts on a clean energy future from a local and global perspective. Local presenters include Rajan Rathnavalu from Newo Energy, a Social Enterprise; Leo Wong from the Social Innovation Institute at MacEwan University, and Holly Driscoll from WiRE (Women in Renewable Energy). High School students from around the world collaborated online to develop a white paper on understanding and responding to the challenges of climate change from a unique perspective: global youth. A small representative group of the students were in Edmonton March 5-7 to present their findings to the delegates of the 2018 Cities and Climate Change Science Conference. Edmonton students and citizens had the opportunity to hear from and meet these students while they were in Edmonton through public presentations delivered on EPCOR Stage and at the Festival of Youth Voices at NAIT.